The restructuring of schools systems across the world has been controversial. Have reforms been driven by a desire to cut educational budgets or the need to improve the quality of educational provision? 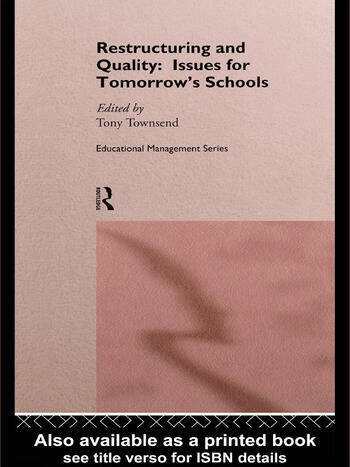 This book explores the restructuring movement, with a particular emphasis on how decentralisation of power has affected the quality of education. It provides a broad and international picture of educational reform.